Found 93 blog entries for October 2016. The Mid-Columbia Symphony will continue with its presentation of the Symphony No. 5 with 'Reformation' by Felix Mendelssohn on November 5, 2016, at 7:30 p.m. This will be held at Richland High School Auditorium, at 930 Long Avenue, Richland, WA. 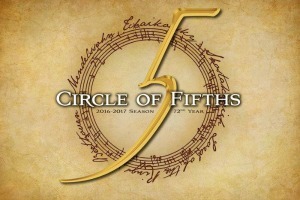 For more details, please visit the Mendelssohn's Fifth page at Mid-Columbia Symphony's website. Beggars' Banquet will be held on November 5, 2016, with pre-event that will start at 5:00 p.m. General admission is at 6:00 p.m. Beggars' Banquet will take place at Benton County Fairgrounds, at 1500 S. Oak, Kennewick, WA. 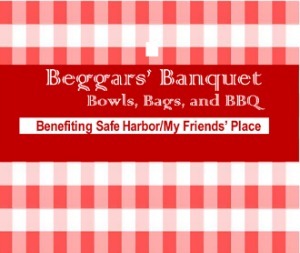 For more details, please visit the Beggars Banquet page on Facebook. The Beggars' Banquet will feature live music and silent and live auctions where attendees can bid on vacation packages and extraordinary items. The 'Tiny Tree Auction' will also be a part of the event, as well as the soup-tasting contest which is one of the most-awaited activities that the banquet features every year. The Pre-Event at 5:00 p.m. will feature 100 Bowls, which are designed by the local pottery artist, Pat Fleming. 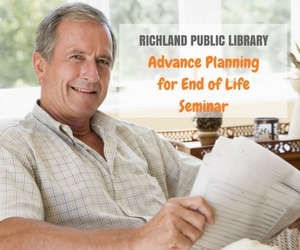 The Richland Public Library and End of Life Washington will present the Advance Planning for End of Life Seminar on November 6, 2016, from 1:30 p.m. until 4:00 p.m. This event will be held at the Richland Public Library, at 955 Northgate Dr., Richland, WA. For more details, please visit the Advance Planning for End of Life Seminar page on Facebook. 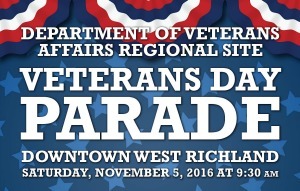 The Veterans Day Parade will be held on November 5, 2016, at 9:30 a.m. This event will take place at Van Giesen Boulevard, from Benton REA to Brickhouse Pizza. The main stage for this event will be set at the intersection of Bombing Range Rd. / Van Giesen. For more details, please visit the Veterans Day Parade page at West Richland Area Chamber of Commerce's website. 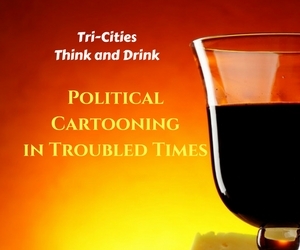 Tri-Cities Think & Drink: Political Cartooning in Troubled Times will be held on November 3, 2016, from 7:00 p.m. until 8:30 p.m. This event will take place at the Country Gentleman Restaurant and Catering at 9221 W. Clearwater Ave., Kennewick, WA. For more details, please visit the Tri-Cities Think & Drink: Political Cartooning in Troubled Times page on Facebook. 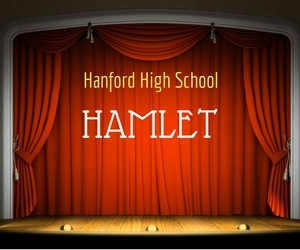 Hanford Drama will present Shakespeare's Hamlet on November 4, 2016, from 7:30 p.m. until 9:30 p.m. This presentation will be held at Hanford High School at 450 Hanford St., Richland, WA. For more details, please visit the Hamlet page at Hanford Drama's website. Shakespeare's Hamlet is also known as The Tragedy of Hamlet, Prince of Denmark. It's a story of a tragedy which centers on Prince Hamlet's call for an eye for an eye to bring down his Uncle Claudius. Claudius murders Prince Hamlet's father to catch hold of the throne. Hanford Drama's presentation of Hamlet will feature Shane Morrow, Natalie Mote, Vance Alexander, Alex Veysey and many other talented actors. Don't miss it! The Silver Screen Charity Event will be held on November 5, 2016, from 6:00 p.m. until 10:00 p.m. This will be held at the Red Lion Hotel Richland Hanford House, at 802 George Washington Way, Richland, WA. 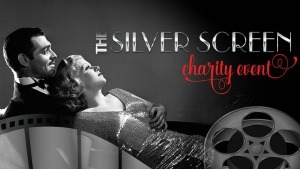 For more details, please visit The Silver Screen: Charity Event page on Facebook. The Gratitude and Affirmations Workshop will be held on November 5, 2016, at the Richland Parks and Recreation, 500 Amon Park Dr., Richland, WA. 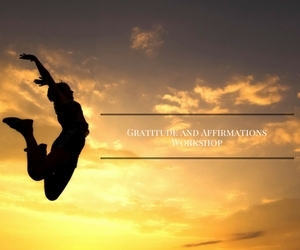 The workshop will run from 10:35 a.m. until 12:05 p.m. For more details, please visit the Gratitude and Affirmations Workshop page on Facebook. The Richland Parks and Recreation came up with the Gratitude and Affirmations Workshop in order prepare the members of the community for the new month. This event also aims to make everyone feel grateful. By having gratitude in one's heart, he will attract positivity into his life. 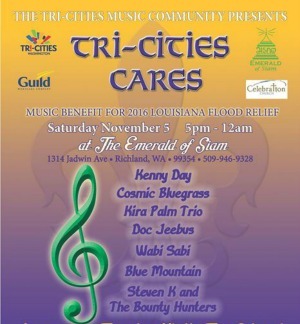 Tri-Cities Cares: Music Benefit for 2016 Louisiana Flood Relief will be held on November 5, 2016, from 5:00 p.m. until 12:00 a.m. This benefit event will take place at The Emerald of Siam, at 1314 Jadwin Ave., Richland, WA. For more details, please visit the Louisiana Flood Relief Benefit page on Facebook. Join the Tri-Cities Cares: Music Benefit for 2016 Louisiana Flood Relief and be among those who will demonstrate love and support for the families affected by the recent flooding in Louisiana. The Maya Craft Show will be held on November 5, 2016, from 9:00 a.m. until 3:00 p.m. 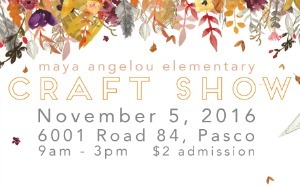 This will be held at Maya Angelou Elementary at 6001 Road 84, Pasco, WA. For more details, please visit the Maya Craft Show 2016 page on Facebook. The Maya Craft Show offers a wide range of shopping options for early Christmas shoppers. It will be attended by more than 80 vendors who will have their products open for purchase. There will be handmade home decors, pieces of jewelry, baby products, kids apparel, sweet treats, fine arts and many others! These are items that make a perfect giveaway for the coming Holidays! Admission costs $2 per person. Don't miss it!